During DevConf PL more than 100 speakers talked about the newest developments in artificial intelligence and in machine learning. Karina Popova will talk about combining artificial intelligence and the Internet of things (IoT) by using M2M SIM cards. 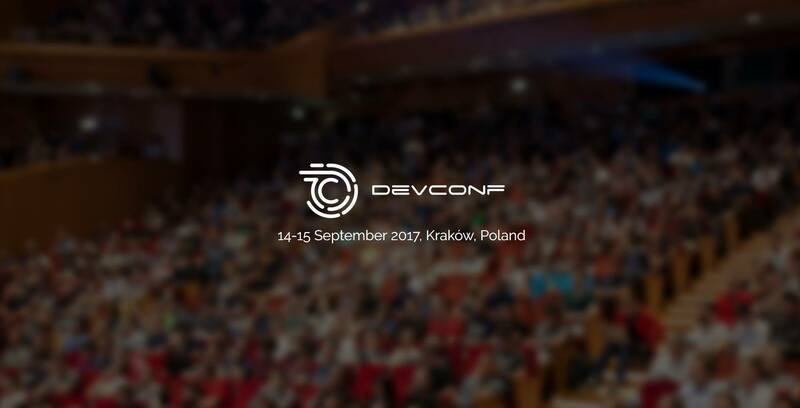 DevConf is an annual conference about software development. Therefor it’s based on principles we believe are the success factors of an ultimate conference experience. Inspiration – regardless of technology, achieved by exchanging ideas. Learning – as a process occurring at talks but also during informal conversations. Due to focus on people and interactions – the conference is about excellent sessions and great networking opportunities, we’re eager to provide both. This entry was tagged ai, Conference, IoT. Bookmark the permalink.